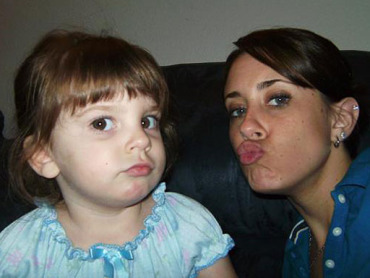 (CBS) - Since July 15, 2008, when the Anthony family reported Casey's daughter Caylee missing, Casey Anthony has claimed her nanny - a woman named Zenaida Gonzalez - kidnapped the child. Authorities took her out looking for the woman and child - on what Florida's Attorney General Pam Bondi has since called "a wild goose chase." No nanny was ever found, nor any evidence that this person ever existed. In the intervening years, Casey and her lawyers have never publicly taken back the claim that a nanny had kidnapped Caylee, and in a recent interview with "48 Hours Mystery," Casey's lead attorney, Jose Baez, refused to discuss it. But now for the first time, a former member of Casey's defense team tells "48 Hours Mystery" the nanny claim is a lie. Lawyer Linda Kenney Baden, who left the defense team in October, said, "She lied. Sure. I think everyone knows that was a lie." As the trial proceeds, it's a lie that may come back to haunt Casey Anthony, but Kenney Baden stressed, being a liar doesn't make someone a murderer. Kenney Baden ended her representation saying she could not afford the travel costs from New York after Casey Anthony was declared indigent by the court. For more on Casey Anthony, watch 48 Hours Mystery this Saturday at 10/9 c.